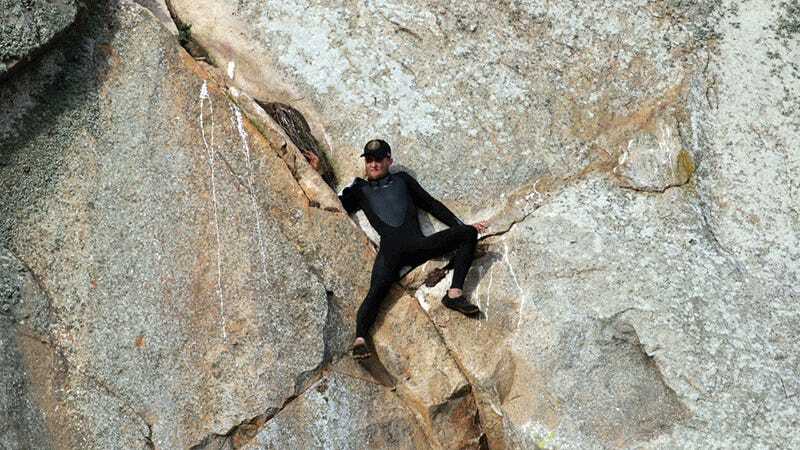 A California man with a beautiful heart and so-so climbing skills needed to be rescued off a ledge Thursday morning after his idea for a creative proposal hit a few unexpected snags, and I suddenly understand straight people less than I did before. Rescuers called in a helicopter, and [fire Captain] Gailey descended by cable to hoist Banks from the narrow ledge, with the rotors spinning near the cliff and churning air from the blades battering both men. The girlfriend reportedly said yes, but depending on whether or not you believe in signs (and how you interpret them if you do), this either means the couple will be married for 50 years, or that they’ll both trip and fall into a Hawaiian volcano on their honeymoon.